Exactly three years after he took over as the first non-founder chief executive of Infosys, former SAP technology chief Vishal Sikka abruptly resigned on Friday. India’s second largest software exporter has named company veteran U.B. Pravin Rao as the interim CEO. Sikka has been appointed as executive vice chairman in a newly created position, Infosys said in a notice to stock exchanges on Friday morning. 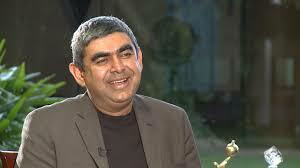 Infosys said that the company’s board had accepted Sikka’s resignation during a board meeting held on Friday. “In his notice of resignation to the Board, Dr. Sikka reiterated his belief in the great potential of Infosys, but cited among his reasons for leaving a continuous stream of distractions and disruptions over the recent months and quarters, increasingly personal and negative as of late, as preventing management’s ability to accelerate the Company’s transformation,” said Infosys. “I want to thank Vishal for his commitment to ensure a smooth transition and his commitment to a seamless experience for our clients. 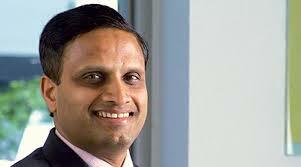 Pravin is a veteran Infoscion with deep knowledge of the business, and his long experience in the Company will help ensure a smooth transition,” said Infosys co-chairman Ravi Venkatesan. Infosys shares fall nearly 8% its steepest fall in nine month. Investors lost nearly Rs1,7000 crore market capitalisation on this news. The stock touched a low of Rs944 a share and fell as much as 7.55%, its steepest fall since 9 November 2016. Sikka’s resignation comes a day after Mint reported that Infosys Ltd founder N.R. Narayana Murthy had claimed in an email to some of his advisers that he had been told by at least three independent directors of the company that Vishal Sikka was more chief technology officer (CTO) material than chief executive officer (CEO) material. “The Board understands and acknowledges Dr. Sikka’s reasons for resignation, and regrets his decision. In particular, the Board is profoundly distressed by the unfounded personal attacks on the members of our management team that were made in the anonymous letters and have surfaced in recent months. As the Board has previously stated, a series of careful investigations found no merit to the unsubstantiated and anonymous allegations that had been asserted. The Board denounces the critics who have amplified and sought to further promote demonstrably false allegations which have harmed employee morale and contributed to the loss of the Company’s valued CEO,” Infosys added. Infosys also said that a succession plan is being put in place and the company will conduct a search to replace Sikka at the helm of the company. Infosys said Sikka would continue “to focus on strategic initiatives, key customer relationships and technology development” and report to the company’s board in his new role. “The succession plan for appointment of a new Managing Director and Chief Executive Officer has been operationalised by the Board and a search for the same has been commenced,” said Infosys in the statement to stock exchanges. Sikka will receive an annual salary of $1 in his new role. “Any Company equity awards held by Dr. Sikka that remain outstanding and unvested shall, during his term as Executive Vice Chairman, remain outstanding and shall continue to vest (and, in the case of stock options, become exercisable) in accordance with their terms,” said Infosys. Sikka’s resignation comes after he has been caught up in turmoil at Infosys over the past one and a half years during which the company’s founders and the board has been at odds with each other. During this period Infosys, has also been caught up in several internal investigations related to the company’s acquisition of Panaya and a large severance payout to former chief financial officer Rajiv Bansal. The disagreements between the founders and the board started in February last year when the board decided to give Sikka a 55% pay hike to $11 million. Only 23.57% of promoter votes were cast in favour of reappointing Sikka as managing director and CEO in April last year. Some of the founders were also peeved at the Infosys board’s decision to approve a Rs17.38 crore severance payment to Bansal. Although Infosys stopped part of the payment later, Murthy in June suggested that the board induct former Infosys employee D.N. Prahlad (also a relative of Murthy) on the board. The board finally inducted Prahlad as an independent director in October. Since October 2015, Infosys has hired external law firms to undertake three investigations and also conducted an independent valuation of Panaya. Law firms Cyril Amarchand Mangaldas and Latham and Watkins carried out two probes in October 2015 and August 2016 to investigate if there was any impropriety in the board’s decision to give Bansal the generous severance payment. 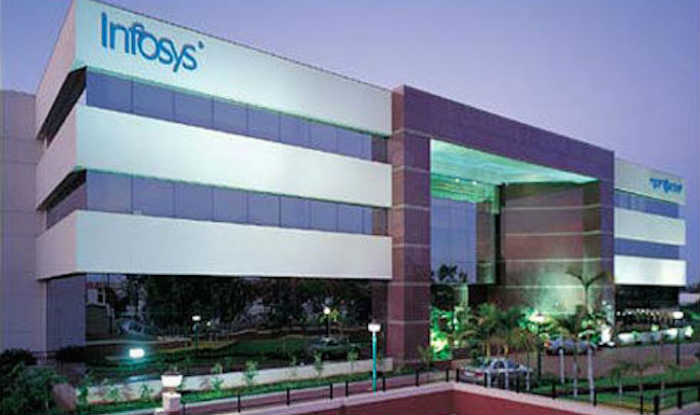 A third probe by Gibson, Dunn & Crutcher investigated if any Infosys executive profited from Panaya acquisition. Infosys has repeatedly stated that none of the investigations have found any wrongdoing, although the company has not made any of the four reports public. This issue has also proved to be a major distraction to Sikka, who himself termed the controversy a “distraction” and cited it as one of the reasons behind Infosys’s poor March-quarter performance.